Since time immemorial front doors have been regarded as the calling card of every home. The modern KBE 70 residential doors represent not only a stable and secure gate to private quarters, but also an alternative and exciting design to the outside world. KBE 70 lets you realise balcony and terrace doors without further ado. 70 residential doors supplement the window system and provide for a standardised image in an aesthetic round look in the whole home. This residential door system leaves no design wish unfulfilled. Whether of one, two, or three parts, with or without top light, or with or without side frame – 70 can realise virtually everything, including the curved door. 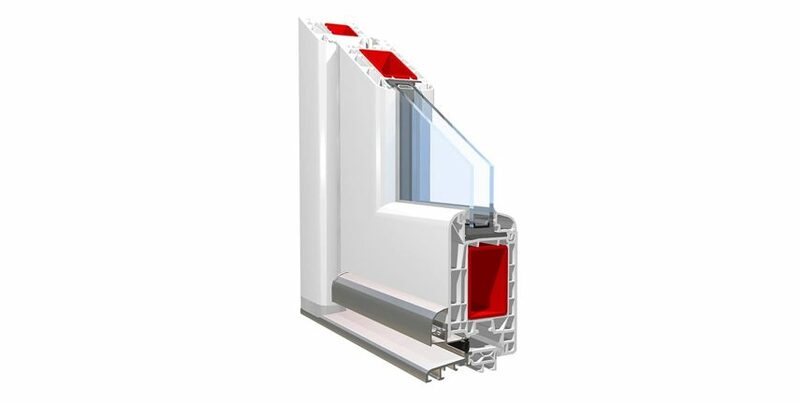 Further individualisations can be achieved with functional glazing, prefabricated residential door panelling, or the comprehensive laminate colour range. Yet the 70 residential doors are not only a visual highlight, but an engineering masterpiece in terms of their sound and thermal insulation. Despite its slender and filigree sight lines, this profile system exhibits excellent values and, especially because of of its slender sight lines, is ideal for restorations, and leaves no wish unfulfilled in new buildings.